The 74-year-old was awarded the Millennium Technology Prize worth one million euros ($1.18 million). 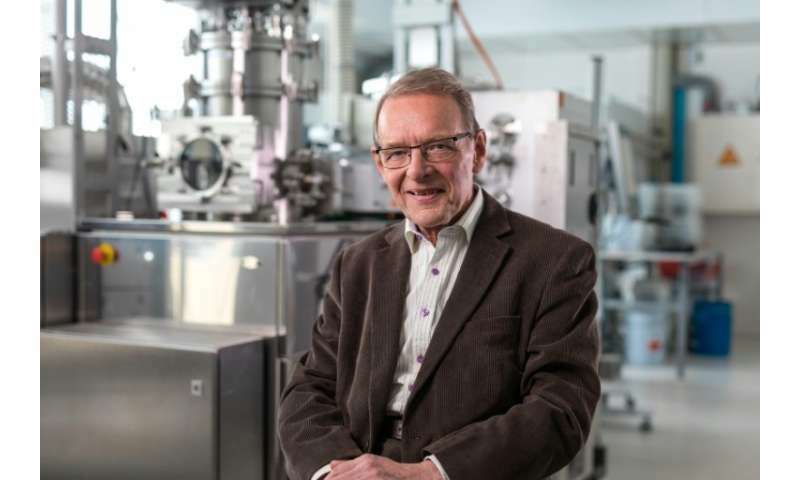 "Suntola's prize-winning ALD (atomic layer deposition) innovation is a nanoscale technology in use all over the world," the Technology Academy Finland, which awards the biennial prize, said in a statement. His technology is used to manufacture ultra-thin material layers for a variety of devices such as computers, smartphones, microprocessors and digital memory devices, enabling high performance in small size. "The extremely thin isolating or conducting films needed in microprocessors and computer memory devices can only be manufactured using the ALD technology developed by Tuomo Suntola," the academy said. He developed the technology in 1974 to initially replace bulky monitors in hospitals with flat and electro-luminescent screens. "In the beginning we did not have a laboratory but I had the periodic table of chemical elements on my wall and looking at it, I got the idea of building a compound from its components," Suntola told AFP ahead of the award ceremony organised in Helsinki. A global breakthrough for the technology came in the 1990s when it was adopted by the semiconductors industry, to manufacture ultra-thin material layers for all kinds of high technology devices. "ALD has made it possible to increase the density of components significantly. In other words, we would not have the current capacities in our smartphones or computers without the ALD technology," the scientist explained. With no academic background in his family, Suntola, who has a doctorate in electron physics from the Helsinki University of Technology, said he became interested in physics as a teenager when he began to build radios with his friends. The million-euro prize came as a surprise to Suntola, who said he had not profited much from his invention due to long-expired patents. "Money accredits the technology, but more importantly, I see this as an opportunity to inspire young people to be innovative," he said. The retired physicist said he spends his free time rethinking Albert Einstein's famous theory of relativity. The Finnish Millennium Technology Prize, founded in 2004, singles out innovations that have practical applications and which "enhance the quality of people's lives." It aims to be a technology equivalent of the Nobel Prizes for the sciences, which have been criticised by some for focusing too much on traditional, decades-old scientific research. Previous tech laureates include the creator of the World Wide Web, Tim Berners-Lee, Linux open source operating system creator Linus Torvalds and ethical stem cell pioneer Shinya Yamanaka.